Building an effective operational model for a nonprofit is no easy task. But doing so for a global nonprofit can be even more challenging. While OneSight is headquartered out of Cincinnati, OH, our operations span worldwide. This requires us to look for new, more cost-effective ways to serve all of our patients, near and far. For those who may not be familiar with OneSight, our mission is to provide access to vision care to those who lack it. We do this through both free charitable vision clinics lasting 1-2 weeks, as well as more permanent self-sustaining vision centers. Both sides of our programming require materials and equipment to allow us to make the glasses that people need to see clearly. 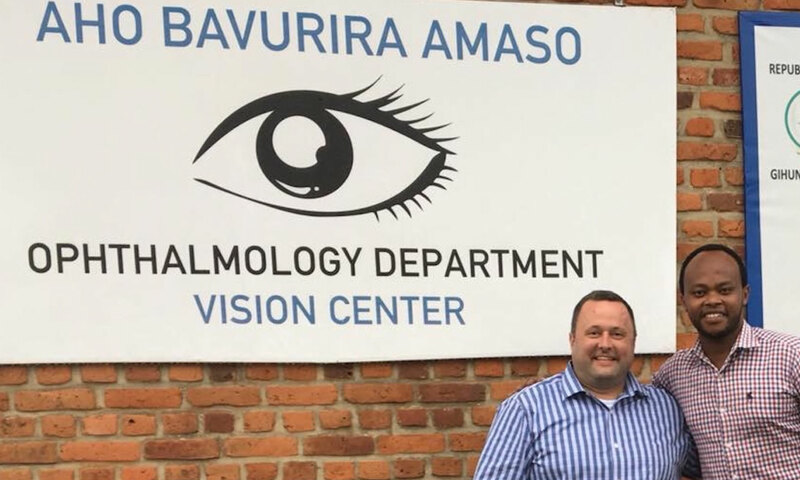 One of OneSight’s main focuses over the past few years has been on our sustainable centers, which aim to provide permanent vision care access to communities in need. When we first began, our equipment and operations were tailored to the specific needs of each vision center’s location. As the number of centers expanded, we had to adapt our processes to meet the growing need. Now, rather than sending an individual customized equipment and supply set for each vision center, we put together standardized kits that could be shipped to any of our sustainable clinics in a short amount of time. Think of this as a ‘vision center in a box’ that can be deployed to support an opening anywhere in the world. In addition to introducing a standardized model, we began using a supplier in South Africa to source all of our sustainable center equipment. OneSight provides the supplier with our annual schedule well in advance, allowing them to work off that timeline to meet our needs. All of this equipment is kitted and shipped directly from South Africa to the sub-Sahara by air, boat or truck rather than transporting equipment to and from the U.S This shifts our warehousing out of Cincinnati and into closer proximity of our international clinics, making for a truly global operating model. Our charitable clinics bring free eye exams and glasses to communities that have no access to them due to economic or geographic challenges. That means we can be serving people in both densely populated cities as well as some more remote communities in the Amazon River Basin that are only accessible by boat. Every location presents its own set of unique challenges, demanding us to consider new approaches to how we traditionally run our charitable clinics. Normally we’d transport over a dozen pallets full of equipment to a location and set up camp for a week or two. However, now we’ve begun introducing nimble clinic kits with equipment that can better suit the journey to remote areas. The vision care industry is making that easier, with new equipment that is lighter, more portable, and faster. For instance, a piece of equipment that we use called Kaleidos can analyze patients’ vision in real-time, with screening performed in just a few seconds in a natural, fun and independent way.. The device is portable, robust, compatible in any light condition environment, and is battery-operated – making it the perfect asset for our remote clinic locations. While we’ve found new and innovative ways to transform our processes over the years, there’s a constant need for improvement. As the world changes and our global efforts expand, we regularly search for further efficiencies in our operating model to so we can serve more patients in more places. Our mission to ensure everyone has access to vision care means we can’t afford to stand still for long. It’s our donors, volunteers, partners and team members that fuel this momentum, driving us forward into new territories and making what was once impossible, possible. It’s our job to take what is given to us – whether it be in dollars, hours or supplies – and make the absolute most of it.